On March 21, 2012 David Schecter and the crew of Monstrous Movie Music at: http://www.mmmrecordings.com/ has put out two new, wonderful CD's of old "B" movies from the 1950's full of rare tracks. I am a big fan of his CD's and own all of them. You can't go wrong with any of the CD's from their site. It's easy to see and hear how much work and soul they put into each release. 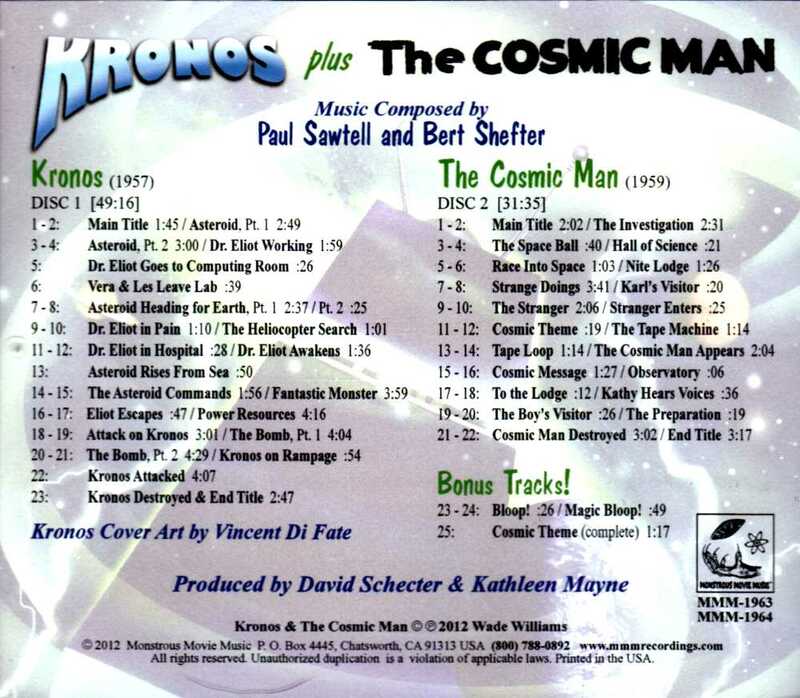 This CD is a 2 CD set containing the music from "Kronos" on Disc 1 and "The Cosmic Man" on Disc 2. What's also great is that this 2 CD set is only slightly more expensive than a single CD and contains two booklets, one for each movie, that contain copious liner notes and pictures. The main reason this CD is on this site is that it contains some music used in the US release of "GIGANTIS, The Fire Monster" which was the Americanized version of the 1955 second Godzilla movie called "Godzilla's Counterattack" and also known as "Godzilla Raids Again". 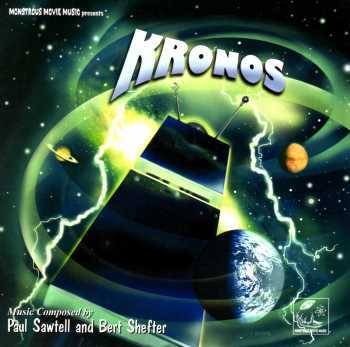 The US studios substituted Masaru Satoh's Japanese music for music from "Kronos" and "The Deerslayer". The Godzilla movie was released in the US on May 21, 1959 and like the original "Godzilla" before it had many cuts and substitutions made to make it more palatable to an American audience. 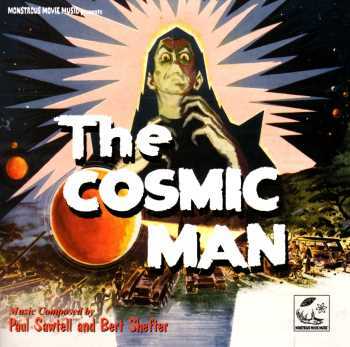 To the best of my knowledge "The Cosmic Man" contains no music used in Godzilla movies but is a great listen in it's own right.